According to Goodreads, where I have been faithfully documenting just about every book I read this year, I have consumed more than 50 books (and counting). I had set a goal for myself of reading 40 books over the course of the year of 2011, and exceeded that by just more than 10 books. I started using Goodreads a few years ago but this last year, I was sort of obsessive with it. It’s one of those spaces that is both a source of book ideas and also a place to add what you know to the general cloud of data. So, what does the year say about my reading habits? I did a lot of read-alouds with my youngest son. 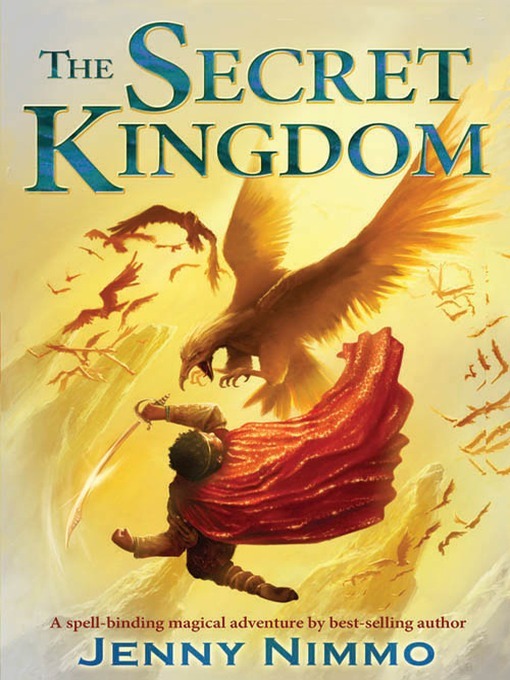 We’re now in that prime age of 7 years old when he is getting to love more complex stories, so Harry Potter, the Throne of Fire series, and more were a hit with him. Another year or so, and the read-aloud moments might be more difficult to sustain. For now, I am enjoying the time together, with a book between us. I read less graphic novels this year than any other year in recent times. I can’t quite say why, but I did. The longest book I read was Reamde by Neil Stephenson, and I still think he could have cut about 300 pages and still had a good book. I had 14 books with the top rating and just one book with the lowest rating. I think I am a generous reviewer. I can’t help but notice a few books on my “current reading” have been there for some time. These are mostly collections but still … get ’em read! There is a solid mix of fiction and non-fiction in my book pile. I like to mix it up. I have 24 books on my “to read” list, and a pile of books by my bedside table. So, what is my goal for 2012? Bump it up to 45 books! I think I can do it. One of my student’s science-based video games is in the prime “Spotlight” position in the Gamestar Mechanic community, which means lots of players are now playing his game. It is one of the better games that my students have created. He will be happy to see that all of his effort is getting not only recognition, but also playing time by many players. There are still things he can do to make it better and we will be talking about the revision process after vacation. What? You want to play it? Give it a try. I often go into movie adaptations of my favorite books with a feeling of dread: what have they done now? The Lightning Thief, Diary of a Wimpy Kid, and too many others to list have all failed to live up to my expectations as the filmmakers have taken a bit too much license with the stories and characters and mangled them to the point of frustration. I don’t expect a movie to be perfectly in tune with a book, but I do expect it to be true to the heart of the book. The Invention of Hugo Cabret remains one of my favorite young adult books of recent years. It was one of those discoveries that makes your eyes open wide and think, this is what a book can be! The illustrations were not just partners to the story; they were the story. The use of image and metaphor and history … it call came together with precision that also tugged at your heartstrings. Author/illustrator Brian Selznick hit a high note with The Invention of Hugo Cabret, and send me searching for old movies on YouTube from the beginning of movies, and the book had me wondering about the crafty ways Selznick put the gears of the story in motion, and brought it to a nice conclusion. (His newest book, Wonderstruck, is just as wonderful but in a different way). Yesterday, I finally got to see the movie adaption by Martin Scorcese — simply titled Hugo — and I was so relieved that the movie really does capture so much of the spirit and essence of the book. Scorcese’s filmmaking abilities are on full display here (particularly the use of the railroad station as the setting and the giant clocks that form the theme of the story), and he is faithful to the story. In doing so, Scorcese gives us a wonderful lesson about the early age of film, and the pioneers who paved the way for movies to become a part of our lives. So Scorcese got it right. Now I wonder if The Lorax will be any good …. one of my all-time favorite picture books and if the previews are any indication, the storyline is quite different from the book. I’ll keep an open mind, but I’ll be ready for disappointment, too. Sigh. 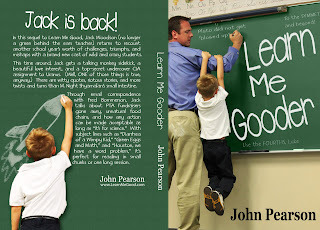 I’d love to be able to say that I hear no echoes of my own classroom experiences in John Pearson’s Learn Me Gooder stories, which follows a fictional teacher throughout the year in a series of email correspondences with his friends and relates all of the odd things that go on inside of a high-energy third grade elementary classroom. But I do, darn it. I hear those echoes and I can clearly see the students as if they were standing right in front of me, with off-kilter insights, emotional baggage and wide smiles at the fun of being part of a classroom where anything goes. (Note of disclosure: Pearson provided me with a free ebook version of Learn Me Gooder in hopes that I would do a review, but we had not arrangement regarding positive or negative review). Luckily, my own experience in the classroom is not quite as odd as that of the teacher in Learn Me Gooder. Educator Jack Woodson, whose teaching tales formed the narrative of the first Learn Me Good novel by Pearson, survives the turmoil of teaching in a Texas school beset by standardized testing, immigrant families arriving and departing with little notice, language barriers and more by using humor to lighten the load. Pearson entertains, but also educates, as he explores the daily life of a teacher through the wide-eyed lens of humor. The use of the email correspondence with friends from Woodson’s past job is a smart narrative touch by Pearson, as we see the back-and-forth emerge with playfulness, and some wistfulness of Woodson sometimes regretting leaving there for teaching but never enough to leave his kids behind. And in the end, it is Woodson’s nurturing nature and understanding of his wacky students that anchors this book firmly into the ground, and those very qualities of Woodson the teacher make Learn Me Gooder a recommended read for any teacher or any parent or anyone who has ever been in a classroom that made you just want to shake your head and smile. PS — You can also follow John Pearson’s blog for Learn Me Good, and see where some of the stories come from. I had the honor of having some writing posted at the Nerdy Book Club this morning. I wrote about those students who read furtively under the table as the teacher tries to teach. If you get a moment, give it a read, or you can listen to the podcast version, too. 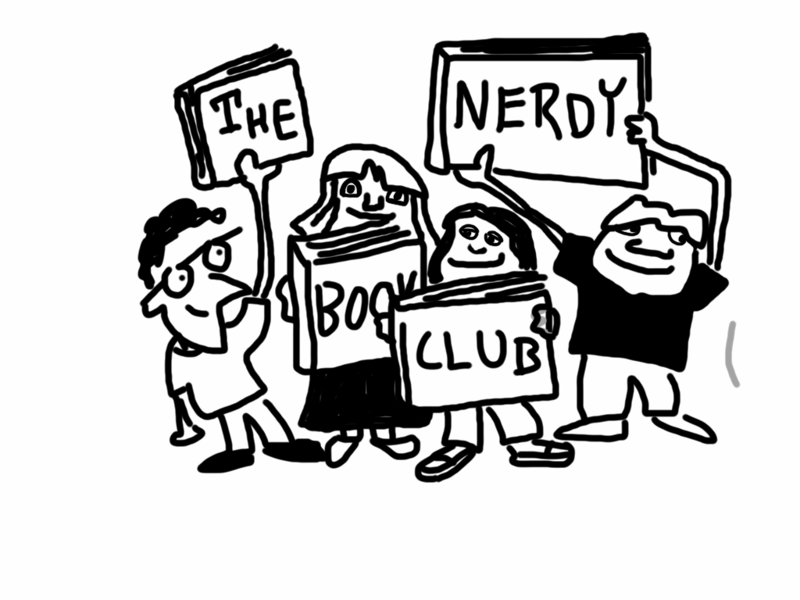 In either case, make sure you pop the Nerdy Book Club blog into your RSS and capture some interesting insights into why we love reading so much. I don’t think our assessment tool does much more than that, but it is a starting off point. My students handed in an assignment to write a review of a favorite video game, as a form of persuasive writing and as another writing connection to our Video Game Design Unit. There are plenty of great ones, and we were using our iPod touches to podcast their reviews as well. A few of the students turned their attention to Gamestar Mechanic, to review the site itself or a game on the site. I had not quite expected that to happen, but it was fine. 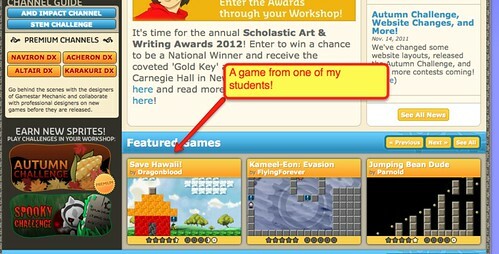 Here, then, are a few student voices about Gamestar Mechanic, which we have been immersed in for the past few weeks. Then, Erika reviewed her friend’s game on Gamestar, Chloe reviewed a satirical spoof on Justin Bieber, Abbe reviewed a friend’s game on volcanoes, and Amanda reviewed a game that she found in the Game Alley.